Hearthstone players were greeted with a new Legendary minion following Thursday's 14.0 update. 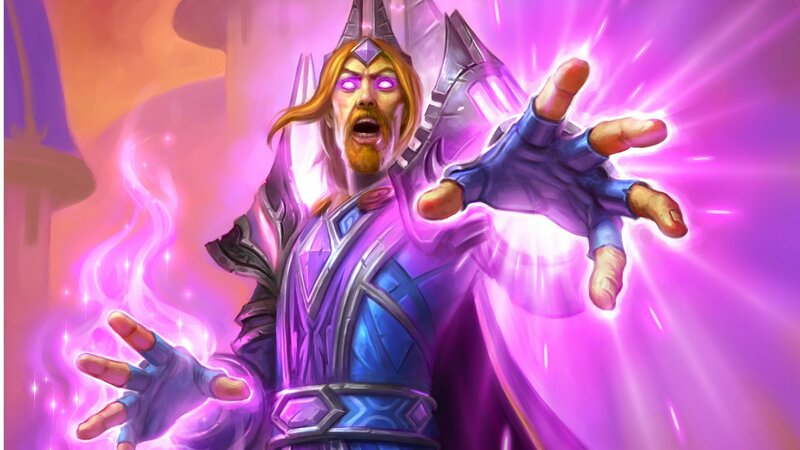 Shacknews takes a look at Archmage Vargoth and what players need to know about this Warcraft throwback before taking him out on the board. Hearthstone updated to version 14.0 on Thursday, which means that the game is ready to jump into the Rise of Shadows expansion. For many, that means that Year of the Raven is about to come to a close. But for those who haven't logged into Hearthstone for a while, there's a new incentive to get into the game a week before the Year of the Dragon begins. 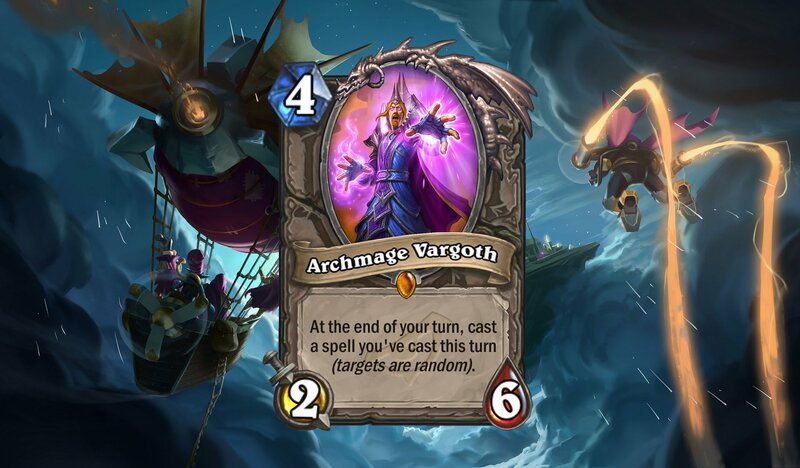 There's a new legendary on the block in the form of Archmage Vargoth. This blast from Warcraft's past is the only card from the new Rise of Shadows expasion that's playable until the April 9 release date. That means there's a good chance that Hearthstone players are giving him a try. So allow Shacknews to give you a brief overview on what Archmage Vargoth can do. On the surface, Archmage Vargoth's 2/6 stats are fairly solid for a 4-Cost minion. It makes it a little tougher to remove than the average minion. Still, don't assume it's going to stick around past one turn, so try and get as much use out of him on the initial turn as possible. 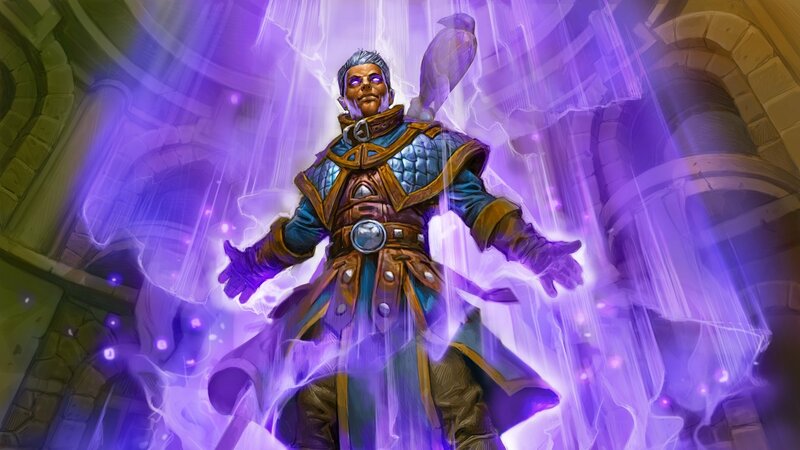 The great thing about Archmage Vargoth is that he'll slide into almost any class and can fit into a multitude of deck archetypes. The idea will obviously be to use spells that aren't prone to backfire. Make sure whatever spell you use isn't a single-target spell. Ensure your cards are explicitly designed to target enemies or target the opposing hero. Don't use redundant spells. Secrets won't be of any use, since the same Secret can't be stacked twice. Be wary of using card draw spells and make sure you don't somehow wind up milling yourself. Most importantly, if you're going second, do not Coin into Archmage Vargoth. The temptation will be there to try and get a combo off early, but if you use a Coin during the initial Archmage Vargoth play, there's a chance that the spell he plays at the end of your turn will be the Coin, at which point it won't do any good. The primary use for Archmage Vargoth should be enemy removal. It's possible to use this minion in a good Big Spell Mage deck. Combining Archmage Vargoth with Blizzard is a full 10 mana and a fairly effective play. Follow that up with Flamestrike on the next turn and it's an assured removal. If you're willing to eat the two damage on your Vargoth, you can try playing Blast Wave before playing him, which will end your turn with a second Blast Wave and potentially more random Mage spells. The Mage can use Vargoth for more than control. How about minion generation? If you can keep him alive for more than one turn, try using the new Power of Creation spell to put out an extra 6-Cost minion on the board. If you insist on pulling a similar combo off earlier, try using Unexpected Results. Get even more value by combining Vargoth with the new Khadgar Legendary. Maybe go aggro with your Mage deck. Combine Vargoth with Arcane Missiles or Cinderstorm to put additional pressure on the opponent. This should be easier to pull off in Wild, which is where a lot of the major aggro Mage tools are about to rotate out to. Control Warriors will also want to keep their eye on this guy. They can armor up with Shield Block, while Wild players can use Unidentified Shield. Although the more practical use will be using Vargoth to replenish the Warrior's hand. Combine him with Dragon Roar and Omega Assembly. If you're playing Wild, combine Vargoth with Dead Man's Hand to stay ahead of the fatigue curve. Lastly, let's look at the Shaman player. Elemental Shamans have largely become king since the fall of the OTK Shudderwock Shaman. The first thing to remember is to try and avoid combining Vargoth with debilitating Overload spells. You'll risk falling behind the curve on the next turn if you do. If you absolutely must do this, use Lightning Storm for a better chance at a full baord clear. Rather than use Overload spells, try combining Vargoth with something like Eureka, which could be used on a big body. This combo could result in double big bodies or even just two bodies, period. The Shaman has some nice spells with no potential to backfire, like Big Bad Voodoo and Far Sight. Wild players, you're going to love using Vargoth with Healing Rain after it rotates out. There's a lot of room for Shaman spell shenanigans between Vargoth and the trio of Electra Stormsurge, Kragwa, the Frog, and Zentimo. If you're playing against a deck packing Archmage Vargoth, the best thing you have going for you is its 2/6 stat line. That makes it vulnerable to cards like Mossy Horror and Stampeding Kodo, which can end its day quickly. Priest is arguably best equipped to deal with Archmage Vargoth. And it's not just because of its removal options, like Shadow Word: Pain. Its 2 Attack line means Cabal Shadow Priest can outright swipe it. The best advice for dealing with Vargoth ultimately depends on the class and what it's equipped for. Be prepared for accelrated strategies and hang in there, because Archmage is one of the strongest new legendaries in Rise of Shadows. And because everyone's getting it for free, expect to see it in almost every deck for at least a little while. Have you played with Archmage Vargoth? What are some of the best combinations you've seen so far? Join the conversation and let us know in the comments. Hearthstone: Rise of Shadows officially releases on April 9.